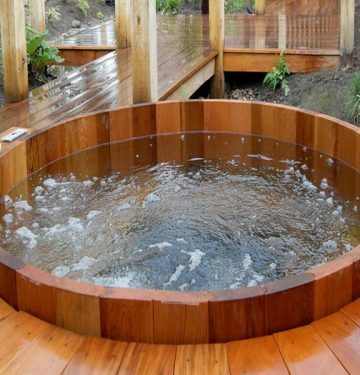 When researching hot tubs, you’ll have much to consider. From the size and shape of the tub to how much electricity and water you’ll be using each month, there’s so much to think about. 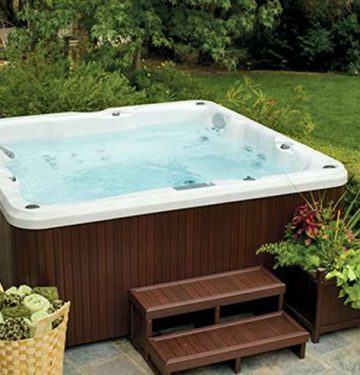 If you skim our hot tub how-to category, we’ll take some of the confusion out of the process. You might be questioning whether you need purchase safety accessories for your hot tub. 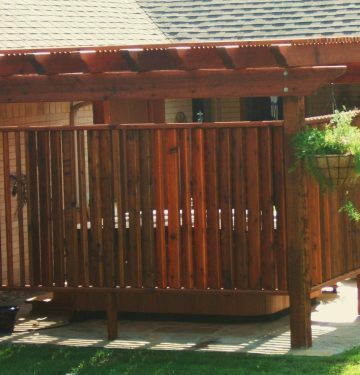 We cover all kinds of safety guidelines like whether you need a safety railing. In our Complete Guide to Maintaining Your New Hot Tub, you’ll find valuable information like whether it’s easy to maintain the pH balance in the tub. It covers alternatives to using chemicals for cleaning, too. 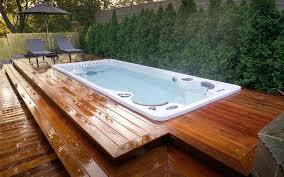 Winterizing the hot tub is a concern that you might not have considered yet. We cover all the questions you might have with that process, too. If you have an old hot tub in your backyard, it’s tough to remove it without a game plan. We can help with that, too. 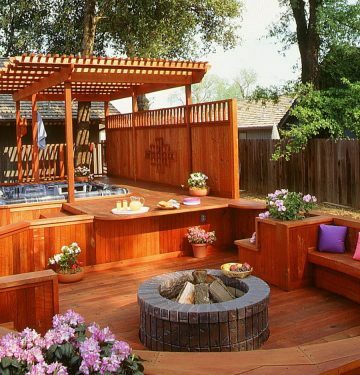 Are you considering some DIY construction with your hot tub accessories? 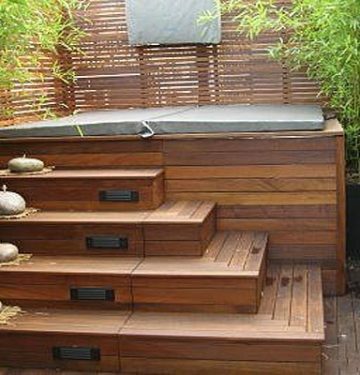 We have instructions on how to build hot tub steps instead of purchasing them. That might make more sense if you have unique spacing problems. Everything related to hot tub how-to can be found in this category including an explanation of terms like spa, hot tub, and Jacuzzi. Have you ever wondered at the difference? So many of your questions will be answered here. Who Are The Best American-Made Spa and Hot Tub Brands?